My friends and I just had a grand time dancing, sprinkling and smearing each other with colored powder at the Holi Festival. 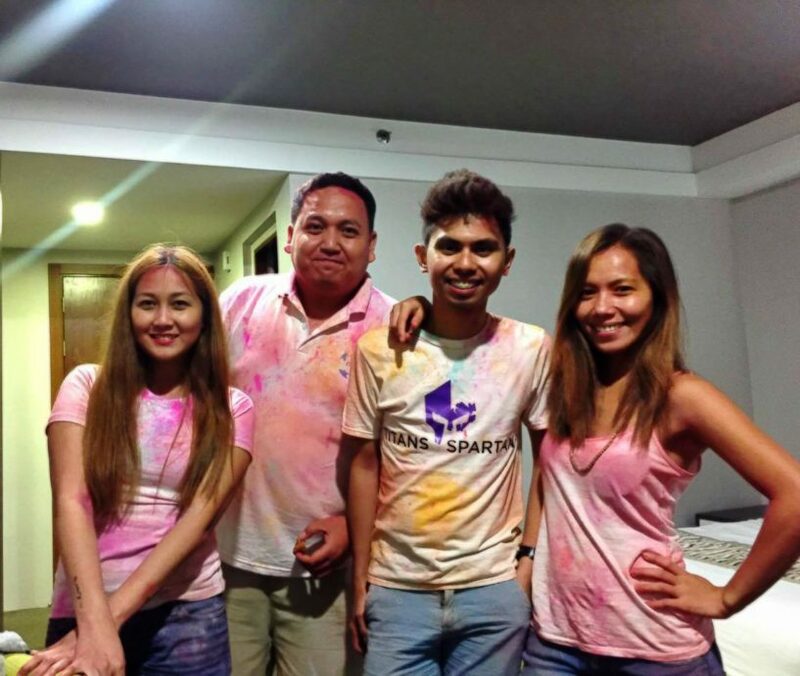 We went back to the hotel covered in colorful powder and I was waiting to be reprimanded. Surely, there is no way the staff would let us in. Imagine the stain we’d be leaving on the bedsheet, the carpet, and the pristine white towels. As soon as we entered the lobby, I looked at their faces like a child who is anticipating a talking to from her parents. I saw them smiling and instead of horror, I read curiosity in their eyes. I knew then that more than anything else, the strongest suit of this hotel is its personnel. This is the top reason I enjoyed our quick escape at 88 Courtyard Hotel. 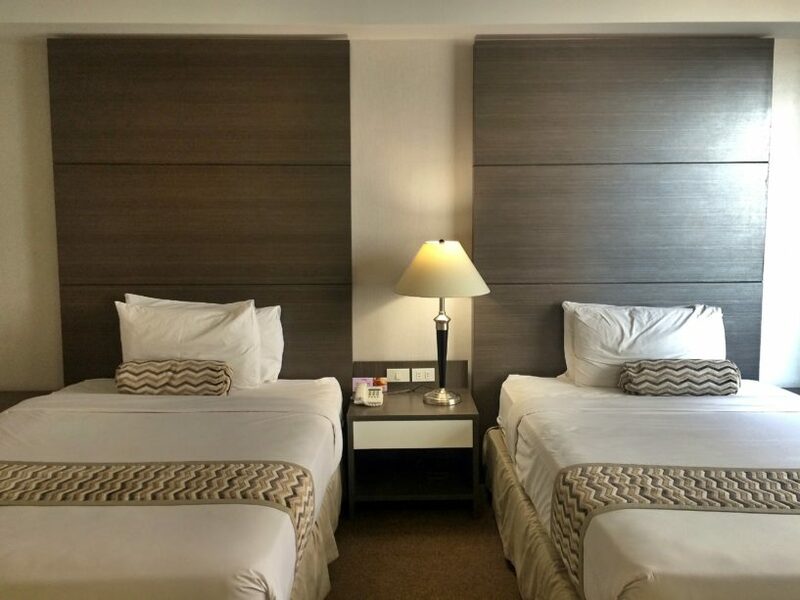 88 Courtyard Hotel sits in a strategic location in Pasay City; some 30 minutes away from Ninoy Aquino International Airport and is largely in close proximity with the SM Mall of Asia. It’s a medium-rise building that has 41 guest rooms, a swimming pool, and an in-house cafe. I and three other bloggers—Jon (Jontotheworld), Cai (Travelosyo), and Cathy (Escapes and Diaries)—scored a sponsored staycation in this hotel last March 20, 2016. 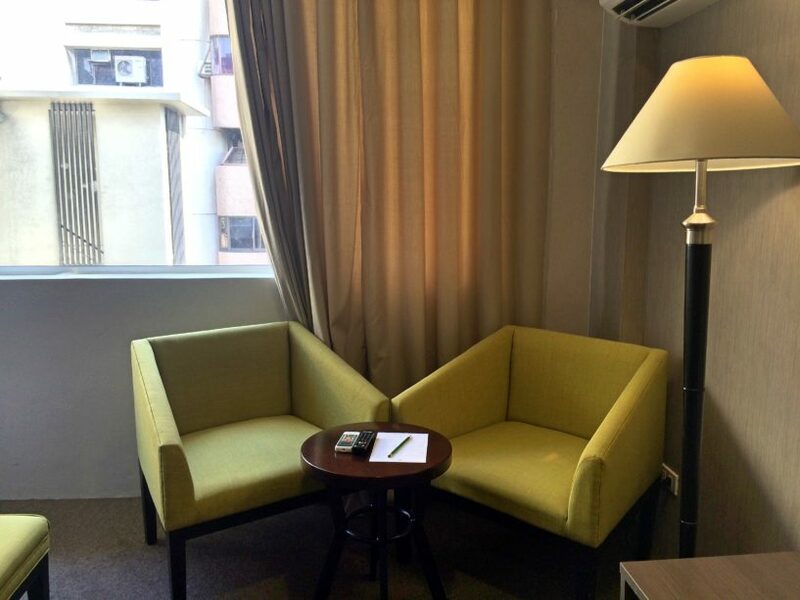 We were billeted in a Deluxe Twin Room, which rate goes for PHP3,600 (USD76.91) per night. I dig the simple interiors, the basic hues used, accented by green-colored furniture. 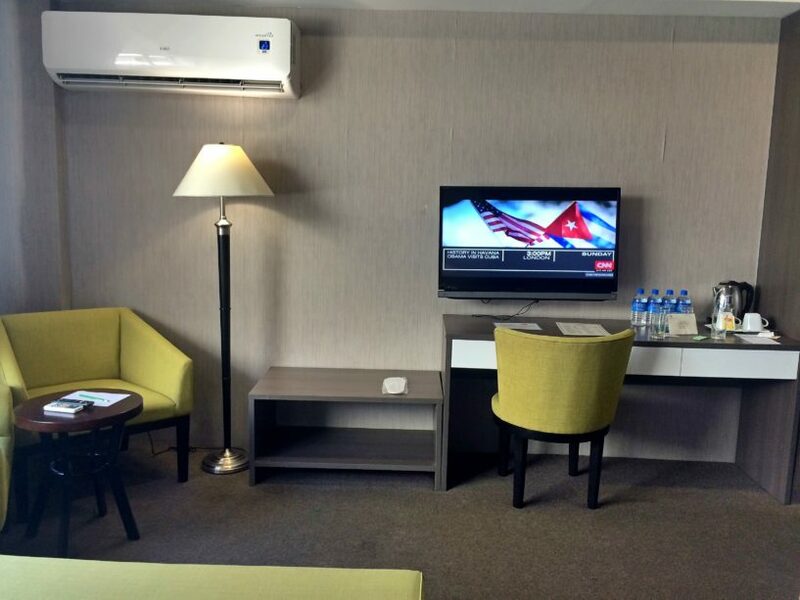 The room is air-conditioned, there’s a TV with cable, two armchairs, and a huge closet equipped with a safety vault. The bed is comfortable, the bathroom is clean, the air conditioning was so strong Cathy was freezing the entire night. But it’s not that AC that had me bothered but this incessant, mysterious sound, which I could only surmise came from a machine. The sound echoed through the night that I kept waking up to it. The next morning, we immediately reported this to the manager. I think this sound, wherever it is coming from should be addressed because light sleepers like me may be disturbed by it. Apart from this, our stay has been very comfortable, thanks to the staff who was quick and efficient to attend to our needs. We didn’t get to try the in-house cafe but they also took care of our breakfast by giving us food stub to be used at the nearby Kenny Rogers. We can all use an escape from our busy lives once in a while, but if you don’t want to leave the city, I recommend that you give 88 Courtyard Hotel a try. It gives comfort and that much-needed respite without taking away the convenience of the urban life. You can book your stay here via Agoda through this link. We were careful not to stain anything in the room with our powder-covered bodies. With the proximity to the mall, I will have to keep this in mind when we visit. I am also easily bothered by strange motor noises at hotels. Hopefully the issue is resolved soon. Holi festival, reminds me of the one we have in India on similar lines. I am sure you had a rocking time. The hotel does look a decent place and especially if it is close to the city centre. Omy, a bathtub with a bidet! I am always looking forward to a hotel room with bathtubs. It’s refreshing and you’d feel like relieved especially with the hot water covering your body. Seems like a fancy hotel, will have to book this when, uhm, you know. hahahah! jk. I love holi. This year we played so much with really dark colors that we were actually scared to enter the house. But when we did, instead of anger my mom gave coconut oil to remove the color soon. What a fun post! This hotel seems to be a wonderful find. The photos show very modern amenities and well appointed space. I would love to have a get away there! I wish I had seen a photo of you all covered in the powder. A true post always makes the reader hunger for more, this one did! (as I leave to google Holi Festival) Kudos! Oh, you celebrated Holi in the hotel!How cute!I did not know the hotel took note of the Indian festival while hosting you. I appreciate a hotel with bidet. I always answer the customer satisfaction survey of hotels and I always mention about bidet. 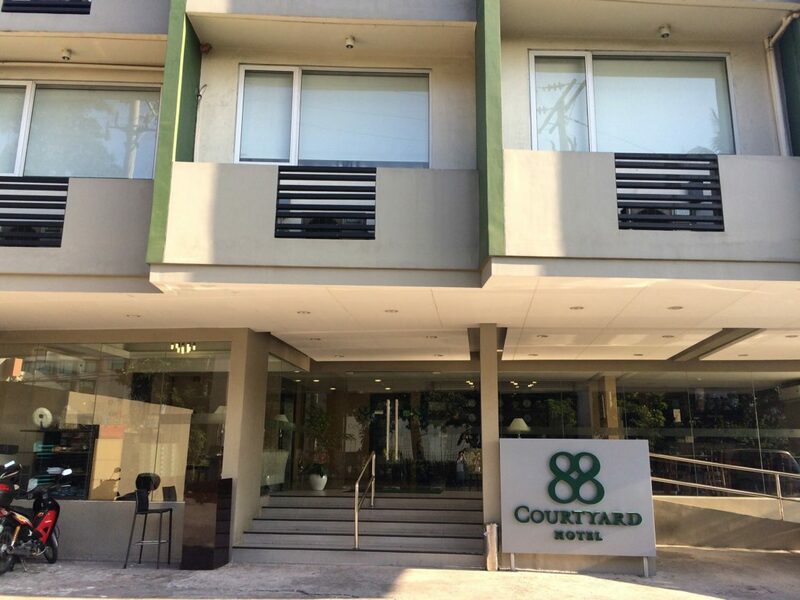 I wonder why 88 Courtyard Hotel didn’t appear on my google search when I was looking for a hotel near MOA. 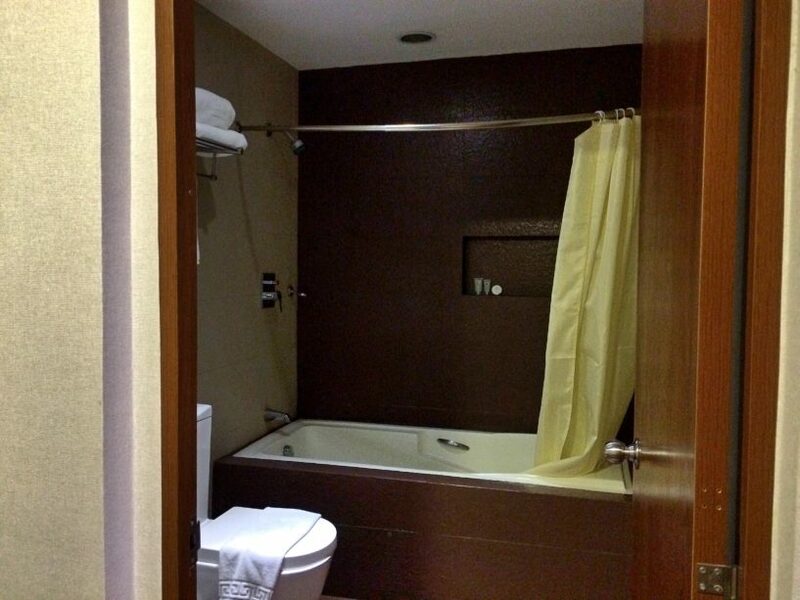 The bathroom is better than Microtel’s. I checked out the website and I love the rooms! You and I both. I think all accommodation should have bidet in their bathroom. It’s a necessity. The interiors looked nice and decent. BTW, what is the Holi festival about? Is it a religious festival? Holi is a spring festival celebrated by the Indians and the Nepalese. That’s a decent price for those facilities. I like how you said that “I saw them smiling and instead of horror, I read curiosity in their eyes. I knew then that more than anything else, the strongest suit of this hotel is its personnel. This is the top reason I enjoyed our quick escape at 88 Courtyard Hotel”. Haha! Thanks Airina. The staff is their best asset. I just love the people there. This hotel looks so nice, I love the interiors of the rooms, green is such a calming colour! This is such a perfect hotel for a short stay as its so close to the airport! Is this a new hotel? Its interiors sure looks good. 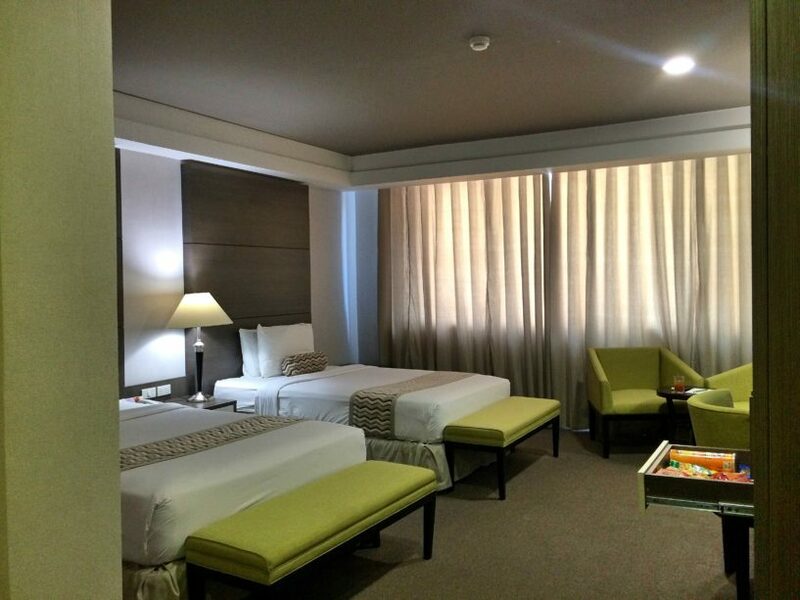 It seems like a good venue for a staycation because its’ near Mall of Asia and the bay area. Looks really nice and tidy ! Is the price actually per room or per person ? It is very reasonable (either way) I think . Thanks for sharing this lovely post , the photos are really good , great insight !! Hi Klaudia, it’s for a room rate. I have seen this hotel and yes, the proximity to SM Mall of Asia is a plus. Looks decent and I think the pricing for groups is good. interesting hotel… for the price, it can’t be beaten… I mean, that’s pretty much sulit if you ask me..